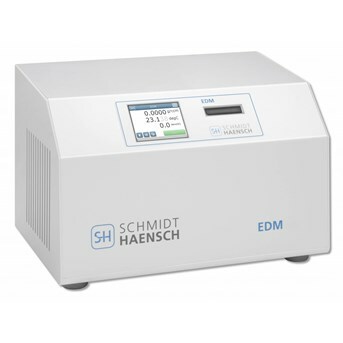 The SCHMIDT + HAENSCH EDM Density Meter is designed for continuous density measurement in a broad range of application. 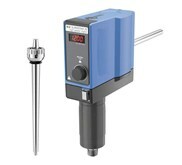 EDM is a rugged, sealed single-piece system with the flexibility to handle nearly any customer request for such instrumentation. It gets manufactured with the worldwide known SCHMIDT + HAENSCH quality in Germany where all parts are under extreme stress tested and prepared for a long life and durability operations. 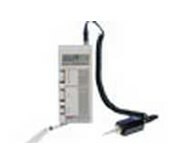 Multiple reference alcohol tables, precision density resolution, USB and Ethernet, Serial output and a wide selectable accessories that will solve the most challenging application. 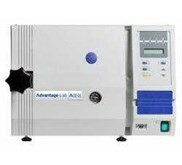 The Density meter offers an optional moisture and Air pressure sensor and most accurate temperature control programs provide the extended usage also in difficult environment conditions. An intuitive user friendly Software and the large Color-TFT Touchscreen interface reduces the setup times for protocols and adds powerful trouble-shooting capabilities. Common accessories and robust exchangeable fittings reduce installation expense and saves times to evaluate 3rd party products. The EDM Density Meter can be combined with other SCHMIDT + HAENSCH laboratory instruments, such as Refractometers, which allow this instrument to be used also for complex analyses. 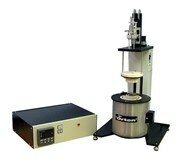 This unique modular capability combined with advanced interior design sets a new standard for density measurement instruments. The EDM insures for you a consistent manufacturing process and allows tighter tolerances on the results, reducing costs and increase the quality approvals. 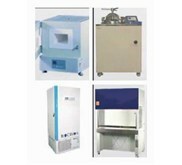 For performance and quality choose the EDM from SCHMIDT + HAENSCH. Measuring time* < 30 sec.